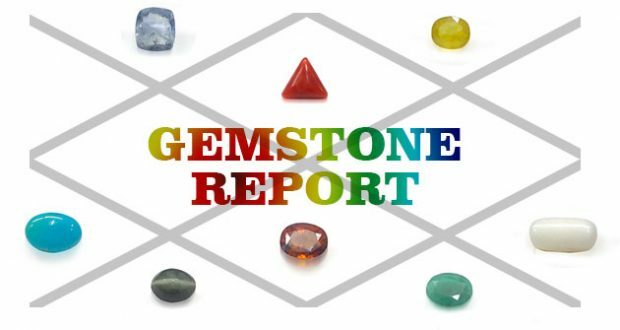 Don’t buy Gemstones without proper Consultation form a gemstone astrologer or gemstone expert. God has created gemstones with a meaning. They can change your life. The gemstones are for everyone. Whether you trust or not once in a life you should take a chance to get your lucky stones. But sometimes people don’t trust in stones due to their experience. Some has bad experience and some of the people wore a gemstone which didn’t show the desired results. There are 9 planets in horoscope. Every particular planet gives good or bad effect. Your horoscope has all the details about every planet. Gemstone with a specific weight, color, metal and composition can observe the bad effect of its ruling planet. Gemstone can cure the problem but unfortunately most of the people wear wrong gemstone with wrong properties. Let’s know how they works. Let’s say you have Aries ascendant. The most favorable planets for Aries are Mars, Sun, Moon and Jupiter. Saturn is also auspicious for Aries and Rahu, Ketu as well. Now out of these planet which one is most auspicious for you this will tell your horoscope. Out of these planet who one is harming you the most due to its low degree, aspect of other planet, dominated by other planets by all means. That one will be key planet of your horoscope. That one planet will be responsible for almost all important incidents of your life. And the Gem related to that planet will work. There are couple of things you must know about the gemstone you are wearing. Weight of Gemstone, how many Carat or Ratti. The gemstone works best if they used with a specific size. The size, color and depth plays a vital role because your everyone has unique planetary position. So how could be gemstone properties same for everyone? You must know that minimum and maximum suitable size of gemstone for you. What metal is good for you and what metal is bad for you. Because sometimes the Silver or Gold are not recommended for you. In that situation the gemstone in silver or gold will not show its full effect. In my report I will mention everything. This is 100% manual report in which I will cover the following points. Good and bad planets for you. Good and bad gemstone for you. How will be effect of Ruby as per your date of birth. How will be effect of Red Coral as per date of birth. How will be effect of Pearl as per your date of birth. How will be effect of Emerald as per your date of birth. How will be effect of Yellow Sapphire as per your date of birth. How will be effect of White Sapphire, White Coral, Diamond as per your date of birth. How will be effect of Blue Sapphire as per your date of birth. How will be effect of Hessonite as per your date of birth. How will be effect of Cat’s Eye Stone as per your date of birth. Suitable and Recommended Gemstone for you as per your date of birth. Other than this I will also share the important information about the recommended gemstone. Is it Computer Generated Reports? If you think a computer can tell you beyond its limitations you will be wrong. Because Computer generated reports will tell you generic things. They will not listen your requirements, experience with gemstone and they will just work according to your ascendant and sun, moon sign.